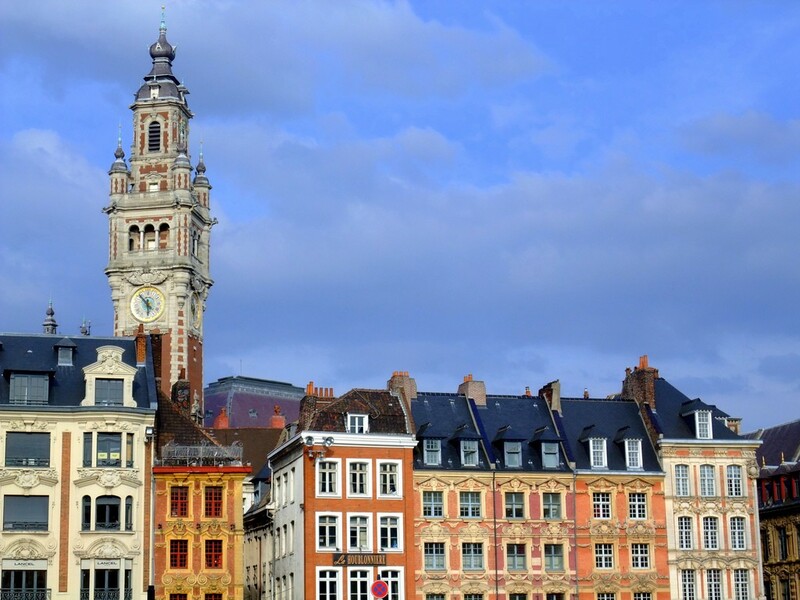 Lille is the fifth-largest city in France, filled with a little over one million residents. All of those hard-working locals, as well as visiting tourists, need a place to wind down after a long day, or a fun place to go on an evening out. Read our list to discover the 10 best bars in Lille, France. Le Dandy has all of the classic elements of an old-school bar, with touches of modern day hipster chic. The multiple floors feature decor such as crates as tables, empty frames hung on the wall, oversized leather couches, barrels, and more. The cocktails are beautifully presented and come in a variety of unique flavors; two popular ones are the cookie dough cocktail and the straciatella cocktail. Try the bloody Mary, mojito, margarita, and passion fruit breeze. Compliment your drink with a few cured meats, cheeses, nuts, breads, and olives from the appetizer plates. Le Dandy is one of the most popular bars in all of Lille. You won’t be disappointed! Bartown is a modern cocktail lounge with a hip, sophisticated atmosphere. The decor is chic and eclectic, creating a warm and welcoming environment. 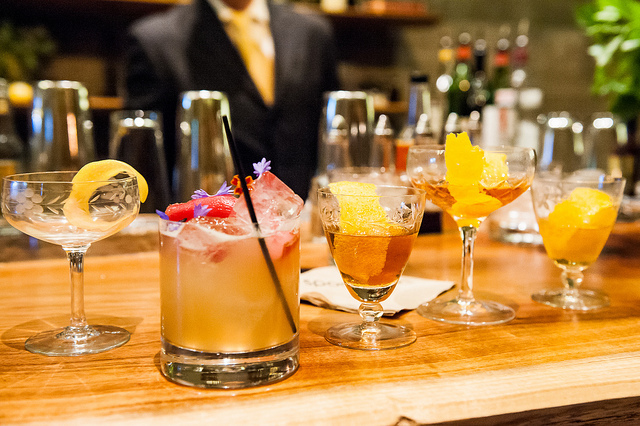 Grab a group of friends and enjoy one of their large signature cocktails; they come in all shapes, sizes, and flavors. The service at Bartown is fantastic, but the popular watering hole gets busy very quickly, so your drinks may take a while to stir up. While you’re waiting, snack on the charcuterie plate, cheese plate, or one that’s a mix of both. Sit back, enjoy your sweet drink, listen to the music, and chat with your friends at Bartown. Located in the city center of Lille, Le Windsor is a favorite haunt of locals in the area. The contemporary interior is chic and modern, with black leather chairs and sofas, bright red tables, intimate lighting, and rich, green plants. It’s quite comfortable, however if you prefer to enjoy the sun, there is a terrace in front of the entrance. The accommodating staff will seat you wherever you like, and will then present you with choices of artisan cocktails, draft bears, sodas, and snacks. The drinks come in a variety of sizes, and some are even served in square glasses and every drink is topped with a skewer of fresh fruit and marshmallows! Being in such a bustling area, the lounge fills up quickly, so get there early to guarantee you get a seat. Wine connoisseur or not, Le Bar Braz has something to offer everyone. The youthful atmosphere is elegant and classy, while remaining trendy and not too expensive. Bigger than it looks, the wine bar is a whopping three floors with many different seating areas. The staff is extremely friendly and pleasant; they’re also very knowledgeable about wine and are happy to recommend something that suites your palate or pairs well with your meal. Speaking of food, the plates made to share are their most popular item. They include various cold meats, cheeses, olives, nuts, and other yummy snacks. For something more substantial, dine on a salad, wraps, salmon, sausage, and more. The fun decor includes a keyboard, so if you’re brave, you can play a little tune! Alluding to Led Zeppelin’s classic hit Stairway to Heaven, this Lille bar is a music lover’s dream (rock music that is). Listen to all of your favorite hits, while enjoy a delicious drink. The full-service bar serves draft beers and popular cocktails. However, their specialty cocktails are where they really shine. Not only do they taste amazing, but they’re named after famous rock stars. Try the ‘Pink Floyd,’ ‘ZZ Top,’ and ‘Jimi.’ Another great thing about Stairway is that it transforms into a dance club on certain nights during the week. Shake your groove thing to a local band performing the best tracks of classic rock. Stairway is definitely the place to visit if you want to rock out and have a killer time! La Pirogue’s menu includes a very diverse list of drinks, most of which happen to be made with rum. Try their mojitos, piña coladas, daiquiris, mai tais, and more. 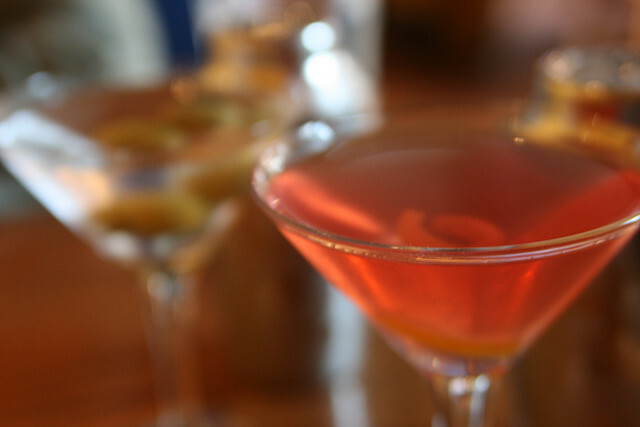 They have a full-service bar and the bartenders are very friendly, creative, and always happy to suggest something new. One gulp of their refreshingly delicious tiki cocktails will whisk you away to a beautiful island; or, you can enjoy their backyard terrace, which is very similar. It has brightly colored chairs that surround wooden plank tables, and there’s rich green grass and lots of space to enjoy the open air. Just make sure you call ahead and ask if it’s open; it’s closed during the winter months. Le Bar Paralléle is the perfect place to catch up with old friends, or grab a drink with coworkers. The local dive bar is three stories tall, each complete with comfortable lounges to post up and enjoy your beverage. Not only is there ample space, but it’s one of the few bars in the area that stays open into the wee hours of the morning, even on weeknights, so you have plenty of time to enjoy your nightcap. 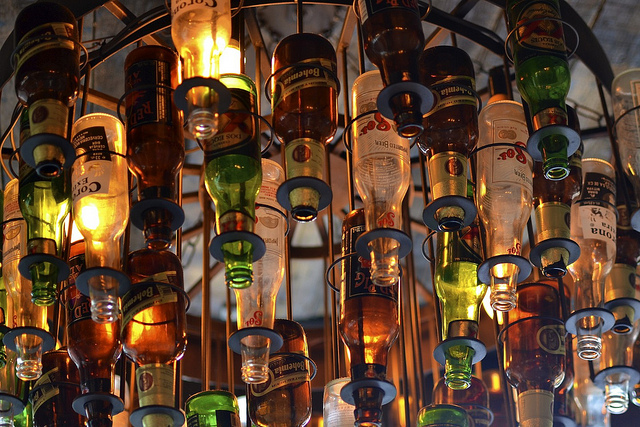 The interior of the bar has eclectic, makeshift decor, including lighting, art, and color palette. Sip on an ice-cold beer or enjoy a fruity cocktail, while snacking on miniature pickles, cheeses, and peanuts. A DJ usually spins your favorite tunes on the weekends; so, don’t be surprised if you see a dance floor emerge or people busting a move. A compact corner bistro, Chez Paulette serves delicious premium wines, creative cocktails, and scrumptious bites to pair them with. Whether you prefer red, white, pink, or sparkling, Chez Paulette’s wine menu will have just the thing you’re craving. If not, the friendly servers will whip up a personalized cocktail for you at the bar. 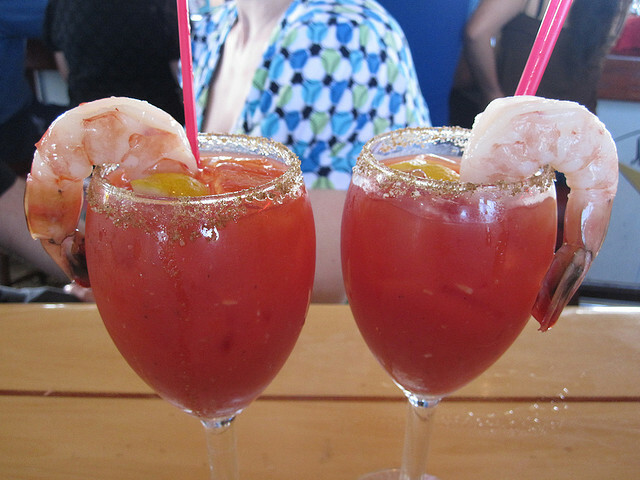 Once you’ve got your drink in hand, feel free to dive into the large platters of food. 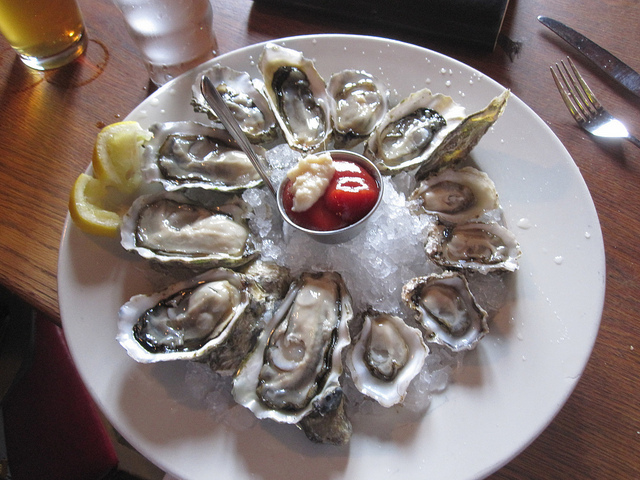 Order a plate of oysters for the table, or perhaps a charcuterie and cheese plate. The interior is made up of long, high tables ideal for big groups; but it’s more likely that you will be sharing the table with strangers. It creates the perfect atmosphere to hang out with old friends and become acquainted with new ones! This funky bar is a little slice of American heaven. Enjoy all your favorite American pub grub, including hot dogs, nachos, milkshakes, and burgers. The gourmet burgers are served on bagels, rather than regular hamburger buns, and come with a variety of fresh, tasty toppings. Instead of French fries on the side, you’ll find a hot baked potato, which can be stuffed with butter, sour cream, cheese, and more. The burgers go perfectly with a cool, refreshing bottle of beer, or creative cocktail made at the bar. The bar is full-service and makes delicious margaritas, mojitos, piña coladas, and other great drinks. There is also beer on tap, and milkshakes can be made with alcoholic liqueurs. Be sure to notice the awesome decor, including movie posters, and shadow-box scenes. A quaint, modern day pub, La Boulangerie Bar is a popular neighborhood watering hole for the residents of Lille. It’s so popular, in fact, that if you drive by during happy hour times, you will see a crowd of people outside the bar, enjoying their drink while standing on the sidewalk. The bar is small, but large enough to have about a dozen tables with chairs; you just have to arrive early enough to grab a seat! The menu is succinct and to the point, featuring a few different sodas, wines, and beers, including lager, ale, and more. Servers will bring you sausages, along with a few other appetizers, to munch on while you enjoy your drink, and the pleasantly lively atmosphere. La Boulangerie Bar is so welcoming that if you visit once, you’ll most likely become a regular.